The Oregon Spectator out of Oregon City, was the first Oregon Territory newspaper produced on a printing press. 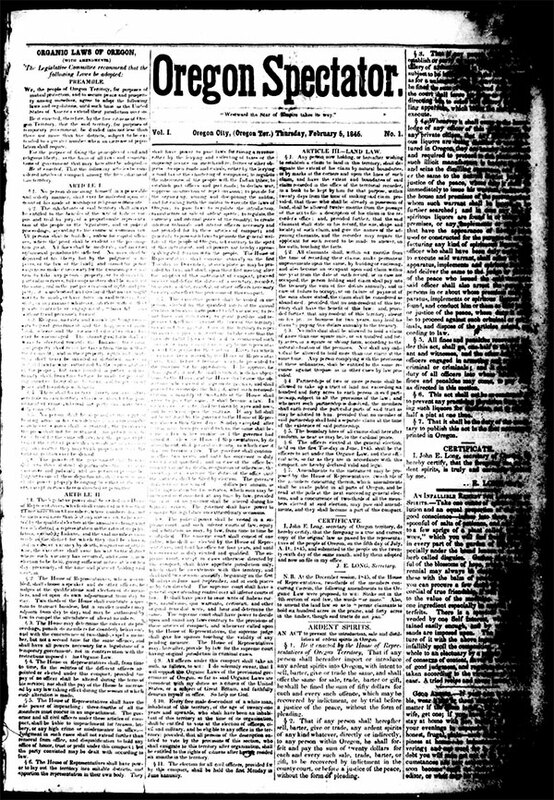 * The first issue came out on February 5, 1846. * The 1845 Flumgudgeon Gazette and Bumble Bee Budget, a handwritten satirical affair, was the first newspaper published in the Oregon Territory.